TDCart was started on the idea that selling products on the internet shouldn't have to be complicated and even small budgets should be able to afford a feature rich, professional product. Our goal was to create a product that provides for both selling merchandise and also allowing stores to build online community through “user editable” pages. Our primary goal is “ease of use”. We believe that if the program is confusing or difficult to use – most people will simply give up on it. This is not an option – everything about TDCart should produce professional results and be very easy to understand from the interface to the "no contract" agreement. As the team discussed features of the software we decided to focus our attention on options to help promote sales for our customers. Our second motto – you need to be successful. We designed a storefront that your customers should have no trouble navigating; suggested items lists help expose the current customer to items that others have viewed; and “easy groups” list items across many categories by a common name you provide making it easy to find related items. We needed the interface to be clean and easy to use – our motto: If can’t figure out how to use it, you won’t. We made every attempt to build in high-end solutions and still keep the interface straight forward and simple. Many features are built-in like suggested items – you just let it run and it builds itself. We needed it affordable. Our motto: If it doesn't fit your budget, you won’t buy it. Our goal here is simple – we want you to be profitable. If you succeed, so do we. Visit these stores and see how others are using TDCart. 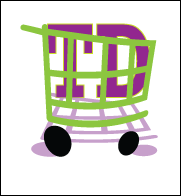 Powered by: TDCart - "Online storefronts made easy"